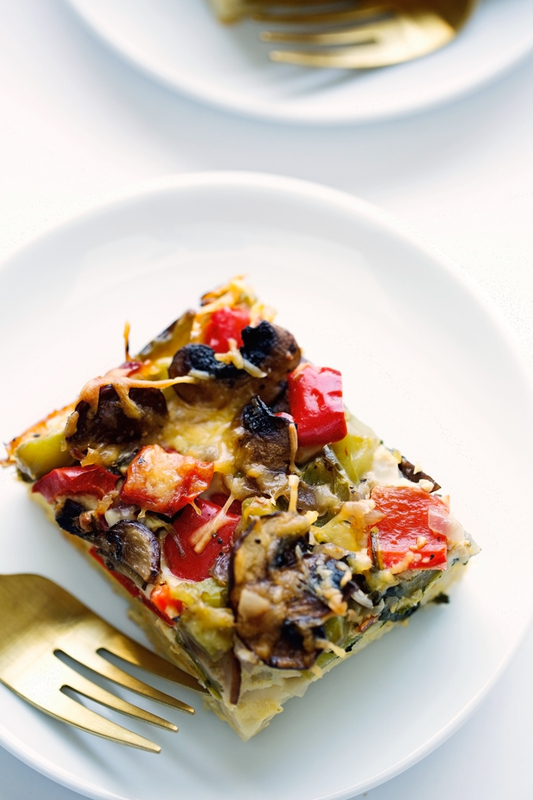 A super simple veggie loaded breakfast casserole that’s easily customizable! I loaded mine with shredded potato hash browns, tons of fresh veggies, and a big dash of hot sauce! 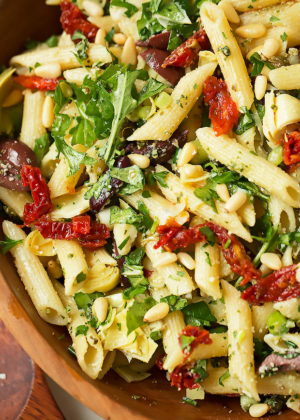 You can add crumbled sausage, shredded chicken, or anything else you please! 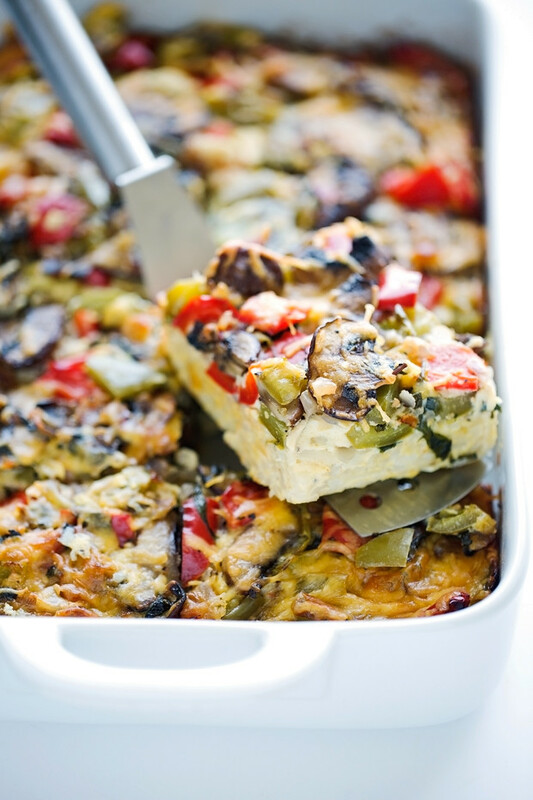 I am so excited to be bringing you one of my all time favorite breakfast casseroles. It’s loaded with shredded potato hash browns and tons of sauteéd spinach, bell peppers, and mushrooms. Not only is it a cinch to whip up, it’s totally customizable! Be it sausage, ground chicken/turkey, shredded rotisserie chicken, or meatless – with tons of veggies like I made it. The options are endless. Once you’ve got your protein picked out, grab your favorite cheese and start shredding. Mozzarella, swiss, and sharp cheddar are just some of the cheeses that will pair well with this casserole. BUT BUT BUT! 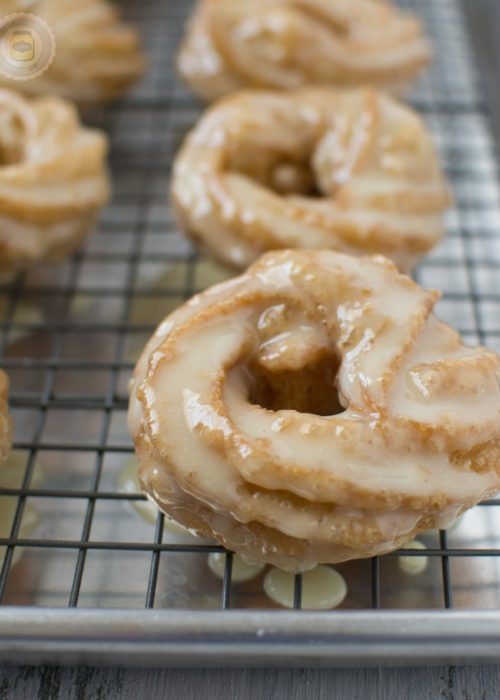 More reasons to make it –> you can MAKE IT AHEAD and just bake it off in the morning. How good would this be for Halloween breakfast? A nice hearty and veggie loaded casserole that’ll keep you and the little ones going all day long. I kind of debated whether I should actually call this a ‘breakfast casserole recipe’ as it’s more of a guideline that can easily be adapted to your families breakfast casserole needs. Did I mention it makes a ton? Like 10-12 servings! The hubby and I enjoyed this casserole for a couple of days but its one of those that actually tastes better with time. And yeah, you bet it was dinner the next day. But loaded with veggies and eggs, it’s hearty and keeps you full for hours afterwards. I spiced mine up with a whole ¼ cup of Franks hot sauce. And it gave the casserole so much flavor. If you’ve got little ones, you can cut the hot sauce back to a couple tablespoons or leave it out all together. But even with the ¼ cup added into the breakfast casserole, I still splashed on a little more before gobbling it down! Let’s talk about the recipe. It’s super simple, I promise. I sautéed the veggies separately in a skillet before layering them in. If you decide to use any kind of protein, just sauté it before adding it into the casserole. So it starts like this – just spray a 9×13 casserole dish down with a good coating of cooking spray. We want the hash browns on the bottom to get nice and colored.Then add in the hash brown, pack them in firm. Next, whisk the eggs, salt and pepper, milk, and if you’re using it, hot sauce, in a bowl and set it aside. Saute and add your protein +veggies on top of the potatoes and drizzle on your egg mixture. Top it with your favorite cheese and that’s it! Let it all bake up for 45 minutes and you’ve got a perfect breakfast casserole that’s great for brunch or lazy Saturday mornings. Sometimes I like to assemble the casserole from the night before and let it come to room temperature for about 20 minutes while I enjoy a cup of coffee and bake it off in the morning. Lazy Saturday morning breakfasts are my favorite part of the whole week. In a large skillet over medium heat, heat 1 tablespoon of oil. Add the mushrooms and sauté them for 4 minutes or until they start to brown. Add a small pinch of salt along withe onions and garlic and let cook for 2 minutes. Remove to a plate. Add the second tablespoon of oil, if needed, and sauté the peppers for 1 minute. Add in the baby spinach and allow it to wilt, remove from heat, set aside. Generously spray a 9×13 baking dish with nonstick cooking spray. Lay the shredded potatoes in the bottom of the dish and press to make sure they are spread out evenly. Add the veggies (both the mushrooms and the pepper mixtures) over the potatoes, set aside. Position a rack in the center of the oven and preheat the oven to 375ºF if you are baking the casserole immediately. In a large bowl, whisk together the egg, half and half, hot sauce, and a big pinch of salt and pepper. Pour the egg mixture over the prepared veggies. Sprinkle the cheese over the top and another small pinch of salt and pepper. Bake the casserole, uncovered, until the cheese melts, and the top gets in and golden, 45-50 minutes. Allow the casserole to cool for 10 minutes before slicing and serving. TO MAKE AHEAD – prepare the casserole as directed, cover with plastic wrap and refrigerate overnight or as required (not to exceed 24 hours) and allow it to come to room temperature for 20 minutes before baking. The half and half can be replaced with any nondairy milk such as almond, soy, cashew, etc. OTHER ADD INS – I kept this recipe vegetarian, but you can certainly add in browned sausage, ground turkey/beef, shredded chicken or ham. 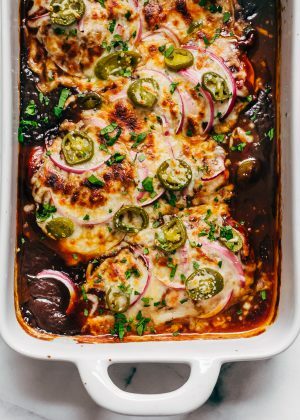 The cheeses I recommend for this casserole are cheddar (mild or sharp), mozzarella, and pepper jack, or swiss). *Please note: the nutritional facts calculated are an estimate based on the ingredients i’ve used. If you’d like a more accurate count, please calculate them using the ingredients/brands you’ve used to prepare the recipe. 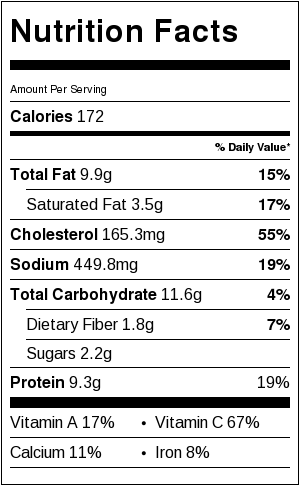 The nutritional facts provided is for 1/12th of the recipe, assuming you use ⅓ cup milk and cheddar cheese. I made this for an Easter breakfast potluck and it was great. The fact that you can do the prep work the night before was even better. It only takes a minute to whisk up the eggs so I took Marzia’s suggestion in the comments to just add the egg mixture in the morning right before baking. I wanted smaller portions since it was a potluck, so 15 squares was perfect (3 x 5). I love mushrooms and I ended up going with 12oz and I used 5oz of baby spinach. Using 1 red bell pepper and 1 green one looked pretty cool. I think I will be making this recipe for years to come. THIS WAS DELICIOUS! Any tips to prevent it from being watery? I would maybe cook the veggies in smaller batches on a higher heat setting, or in a larger pan (if you have one.) You can also drain the veggies on a paper towel or in a large sieve before adding it to the casserole dish! I made this recipe today for a potluck and it was a hit! I didn’t have Frank’s hot sauce so I used a combo of Tabasco and Sriracha and I used the entire 28 oz. bag of shredded potatoes. I am already thinking about when I can make it again. 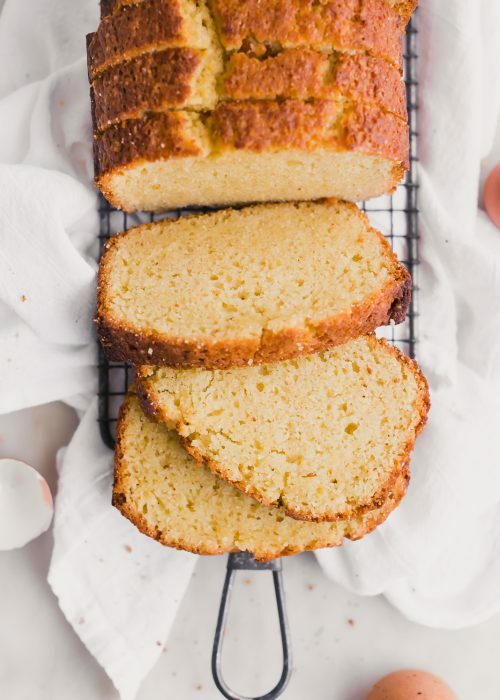 Love this recipe and want to try out for a brunch I am hosting. I just wanted to clarify if you used Did you use frozen cooked hash browns or raw shredded potatoes? I am in the Middle East and it is very difficult to get either of these, so would need to make it first. The kind I used were raw shredded potatoes! You could even shred your own if you can’t find them easily in a store near you. What temp does this bake at? 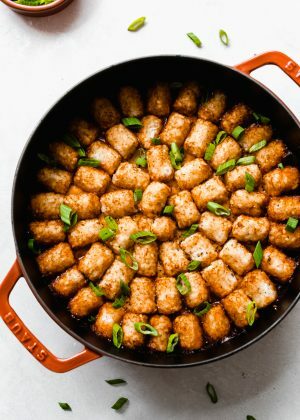 Just curious… do I need to use store bought hash browns or can I just shred potatoes to make this? If making this for the next day, would I prepare it all the way through step four, i.e. 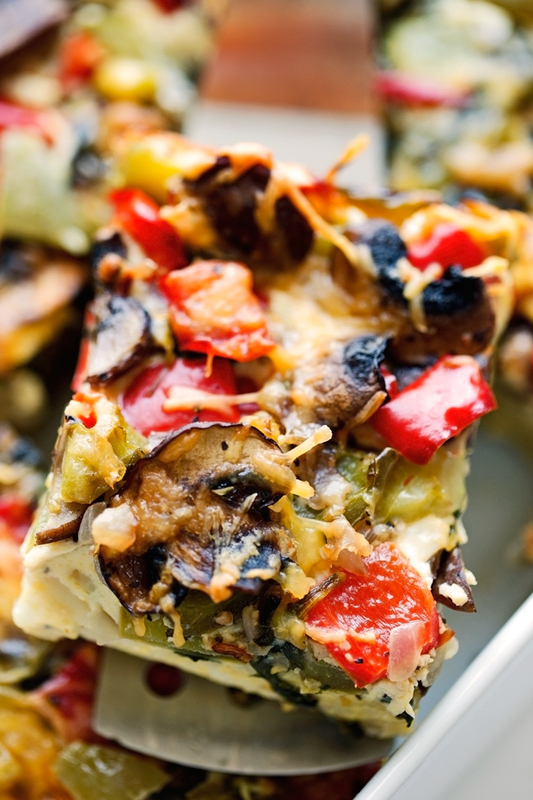 pour the egg mixture over the veggies, add cheese, and then refrigerate? Or better to add the egg mixture right before baking the next morning? Thank you. You could do it either way. Personally, I find that the acid in the hot sauce turns my veggies an unappealing color if it sits in the egg mixture, so I usually just keep the egg mixture (prepared) but separate. In the morning I just pour it in, sprinkle with cheese and continue to step #5. Hope you enjoy it! I read your comments about freezing, but can I freeze it unbaked or should I bake it and then just reheat it? Sounds delicious. I would freeze once baked and then just reheat it! I love this recipe!! Made it exactly as written but added chopped fresh tomatoes on top before I added the cheese. My husband could not stop telling me how good it was. I used seasoned Simply Potatoes (shredded) on the bottom as directed. Froze the leftovers in small squares wrapped in wax paper, and took one out this morning for a quick, nourishing breakfast and put it in the microwave for a few minutes, and it tasted just as good, if not better, than yesterdays. Not watery at all. This is the best recipe I have! So healthy, too. What I love about it is I can add any vegetable I desire. I have decided to keep these little squares in the freezer all the time for a quick breakfast when we are on the run. Maybe even add bacon the next time. Thanks so much for sharing. This is AMAZING! I made it for a breakfast meeting at work and people were practically licking the pan. I added chorizo sausage, so i left out the hot sauce because I felt the chorizo had enough seasoning. Will definitely make this again! I manage a bed & breakfast in ATL, this is one of our favorite breakfast dishes to make for our guests. They always love it! Perfect for vegetarian people! How much sausage (pounds) would you add to this? Roughly 1 – 1 1/4 pounds! It was good! I browned hash browns first and cooked right away then heated up next day! Made this for breakfast today with daughter and son-in-law, and it was delicious! I added asparagus, which I cut into 1” pieces and sautéed for about 5 minutes until tender/crisp, and also added cut-up Morningstar Farms breakfast sausage patties, both of which I put on top just before the cheese. We used a milder hot sauce, and it was just the right amount of heat for me, and the others added a bit more. Wow! Definitely will make this again, although it’s a lot of work prepping everything to have as an every day breakfast. Did you add the morning star sausage already cooked? This was absolutely easy and soooooo delicious!!! 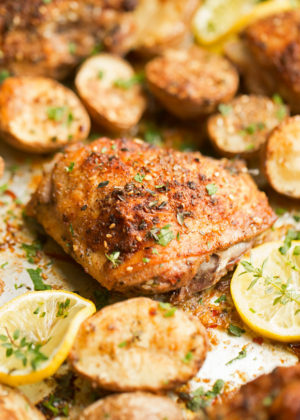 This is definitely one of my new staple recipes for the school year!! Thank you!!!! Is the hot sauce the same thing as Tabasco sauce? Making this right now! We do a summer farm share (aka CSA). This week we got some nice potatoes. We decided to grate the farm potatoes and just layer the bottom of the pan with them as described. I’m wondering if we should have added salt/pepper to the potato layer or done anything else? I’m not familiar with frozen potatoes, so I’m just note sure if they are pre-cooked or seasoned etc. what do you think? Excited to try it tomorrow! You can season them with a little salt, pepper, onion, or garlic powder if you’d like. The frozen potatoes I used for this recipe weren’t previously cooked but were lightly seasoned. Hope you enjoy the casserole! Excellent!!! I loved that i could make this the day before. It tasted wonderful. Thank you for sharing. Made this for Easter brunch 2018. What a hit! Absolutely delicious! Never like to make something for a holiday that I have never made before. I did so because it looked delicious in the pictures and that 15 people gave it 5 stars. You have my 5 stars on it too! Thank you for this recipe! Can I use 2% or whole milk? Used 1 small sweet potato (diced), several mushrooms, red onion, garlic, 1/2 orange bell pepper, about 10 asparagus (cut up), about 2 cups of fresh spinach (from a bagged salad mix that was getting old). Added a sprinkle of feta and about 1/2 cup cheddar on top. I used 6 eggs, some hot sauce and about 1/4 c. milk. Added S&P, of course, too. Baked for about 33 minutes and it turned out perfect! I think if you left out the cheese, you wouldn’t miss it. All the veggies had great flavor on their own. Thank you! Yum! I doubled the recipe (2 9×13 pans) for a big family brunch, and instead of doubling the potatoes just added riced cauliflower to make up the difference and lower the carb count. It was a big hit – thanks! But there wasn’t anything about the half and half in the notes unless I was missing something. Does it have to be half and half? Made it with various veg I had on hand and ground turkey breakfast sausage. Even threw in a couple of chopped apples. It was a big hit at Bible study and with my family. Do you think this would work well with only egg whites? Yes, I think you could make this with egg whites. You may need to up the quantity a little to make up for the egg yolks and the timing may vary slightly so you may have to monitor for doneness but it should work! Amazing recipe!! I tried it this morning. I followed the recipe exactly except omitted mushrooms and added crumbled sausage. It was both flavorful and filling. Husband approved. This one is a keeper. Tried it and my boyfriend and I both love it! Love how customizable it is (based on comments here) and plan to try it again and add Canadian bacon to see how that goes over (we love meat). It reheats well for breakfast (or other meals) all week! Thanks for the recipe! Yum! I was wondering if it would work with feta cheese? Hoping to try it for breakfast tomorrow. Yeah, I think it should! 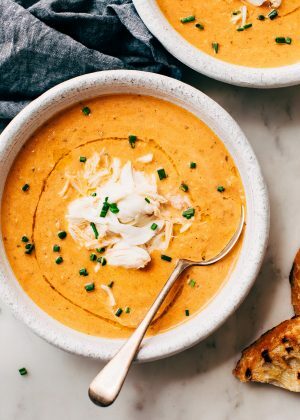 Do you think you can make this in the crockpot? Sorry Marcy, not too sure about making this in a slow cooker. If I’ve tried making it, I’ll usually leave a little blurb in the notes section of the recipe. What a great Sunday morning breakfast! As we are not big potato lover, what about skipping the hash browns and pour the eggs mixture over the yummy veggies and bake? I made this for dinner tonight and it was AMAZING. To make it quicker I used frozen veggies (one bag of mirepoix blend and one bag of stir fry mix) and it worked great. The best (and most important) part is that the kids approve! I may try it next time with some cherry tomatoes and kale instead of the spinach for some more body. Has anyone ever tried to freeze this and then cook it later?? If so, how did it turn out?? And how long did you freeze it for? Thank You!! 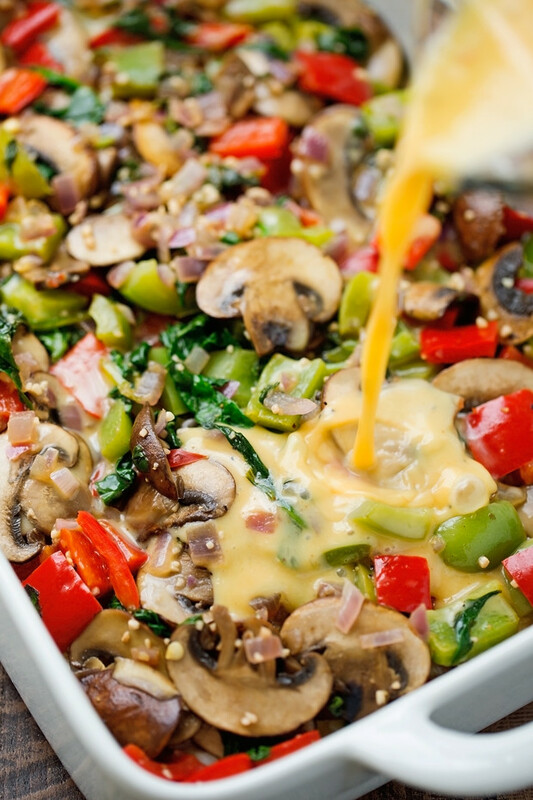 I made your veggie-loaded breakfast casserole for a baby shower this weekend and everyone loved it and wanted the recipe. We had to accommodate both gluten-free and dairy-free dietary needs so I replaced the half and half with coconut creamer with some almond milk and skipped the cheese. I used sautéed red peppers and sweet yellow onion, sliced mushrooms sautéed with garlic in olive oil, and in place of the spinach I used lightly steamed broccoli. I lightly salted ach of the veggie ingredients as it was cooking. I didn’t use any hot sauce or potatoes because we already had a potato side, but it was very delicious anyway as the veggies really flavored the dish. I will be making it with those ingredients next time, though. This was so good I can’t wait to make it again. Recipe sounds awesome and wanting to make soon. Would like to half the recipe. Would the cook time be the same or would it be less since the dish will be smaller? Had to come back and post a review — this recipe is definitely going to become my go-to breakfast whenever I have company! I made it for brunch with my girlfriends and it came together like a breeze, absolutely foolproof. I made the recipe exactly as described, except I added S&P at pretty much every step out of habit and used 1/8 c. of hot sauce — it definitely could have taken more, but it still gve great flavor without being too spicy for any of my guests. If you’re looking for an easy brunch recipe, I can’t recommend this one highly enough. Thank you for sharing it! Delicious! I added cherry tomatoes to it. I will be making again! 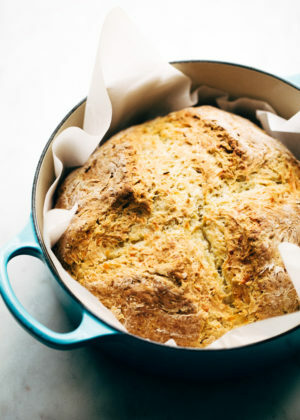 This recipe is getting me through the winter months. AKA it’s helping me never leave my house on the weekend because I eat it for every meal until it’s gone. Thank you soo much!!!! I made this casserole, but twicked it to fit my taste and I have to tell you, I WAS AMAZING!!!!! It’s my new favorite breakfast (I’m not a breakfast person) as of now. I added tons of veggies, used less eggs, left out the hash, meat and cheese. I seasoned my veggies before roasting and OHHHH YEAH, instant DELICIOUSNESS!!!!!! Looks very tasty! I like casseroles and try to cook this delicious food on weekends when there is a chance to have breakfast with the entire family. Could I make this without the hash browns? Would I need to adjust anything you think if I did that? Looks sooooo good! Yes, you could make this without the hash browns. It may need a little less time in the oven since we’re taking away a portion of the casserole. You’ll have to monitor for doneness as i’m really unsure how much it would affect the baking time! Hope you enjoy it, Emily! My casserole is in the oven as I write, feeling a bit of a bonehead. I have been experiencing a kitchen burnout. Cooking for a new husband, I went for over a year without repeating a recipe. I do so love to work in the kitchen. Hubby has multiple sclerosis, and a refrigerator chock full of left overs causes him some over- stimulation and stress. It’s started to get to me, too. I saw this recipe, and promptly ran out for a 9×13 pan, with a clear cover. 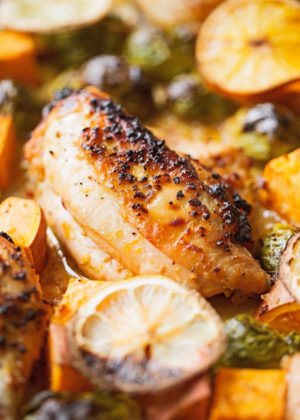 With specific dietary needs that I love to cater to, this recipe gives me the opportunity to adapt with the products that we are already using, and that he already loves. I made my own hash browns, made my own sausage, used coconut milk, a 4 to one egg white to yolk, and allowed myself to consider all of the ways this recipe could be used so well. Coming across this recipe has happened at a time when I have been at my worst, health and energy wise. I have been a casserole snob. I have been a 9×13 pan snob, not even making cakes or brownies in one. I think that this has been a great time in the kitchen, but now, I think that using a 9×13 pan in this way, glamming up, manning up, or stripping down, will allow more rested quality time together. Thanks for contributing this recipe, and the time and effort involved. It’s a little thing, but we never know how an action we take, no matter how small, could provide a boost, a brain- lift, to someone who needs it. So, even though the timer hasn’t gone off, I’ll give you the stars. This is one of my favorite dishes! My husband could probably eat the whole thing in one sitting if I let him! I am not a fan of mushrooms so I eliminate those and add zucchini. 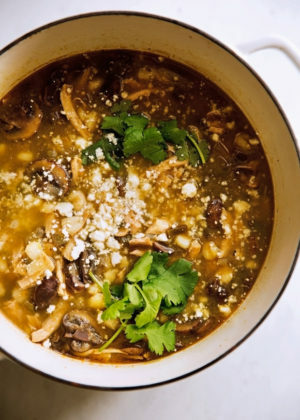 I recently started adding a can of fire roasted green chili’s which is now a must every time. Next time I’ll try fire roasted red peppers. I love how customizable it is. I’ve even used cauliflower instead of hashbrowns on occasion of I’m watching my carbs. You just have to make sure it’s heavily seasoned (salt, pepper, paprika, garlic). So yummy! That cauliflower hack is SUCH a good idea, thank you for sharing it! Do you used riced cauliflower/just chop it/do anything else to prep it? I must try this! Hi, did you cook the cauliflower before you used it? The only thing I did different was added a blend of Sharp, pepper jack and velveeta shreds as a layer over the potatoes and in the egg mixture and omitted the hotsauce. Hi! I was wondering if you can make this recipe ahead of time and freeze it? I want to make it for brunch the morning after my daughter’s wedding. No time to cook that day!! I would also like to make this 3 or 4 days ahead and freeze. Did you get a response to your question?? Hi Marie, as mentioned in an earlier comment, I haven’t frozen this casserole before but I do think it would be okay to freeze. I just stumbled upon this recipe on pinterest, I needed something for breakfast that required ingredients that I had on hand. This was really easy to make and quite tasty! Even my boyfriend who isnt a casserole guy liked it, and got seconds! The ONLY thing I will change next time around is cooking the hashbrowns before putting it in the oven, just because I like super crispy hashbrowns and thats how I order them when I got out to eat. Thanks Marzia for this 🙂 I have enough for tomorrow and the day after! Honestly, this would make a good lunch too. P.S I put more hotsauce on top, can never have too much of that! Do you happen to know if I could just use egg yolks or if I can replace the egg with something? Sorry to be difficult I recently found out I’m allergic to egg whites. 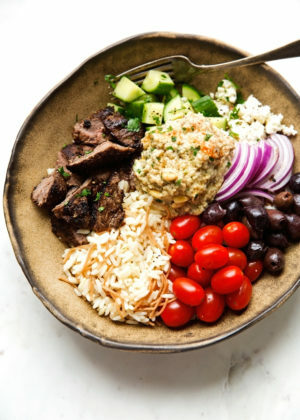 We have to eat low-carb as well which is proving to be difficult to get anything besides meat and veggies or change up of meals without the whole eggs. Hi Amanda, unfortunately this recipe has only been tested with whole eggs. 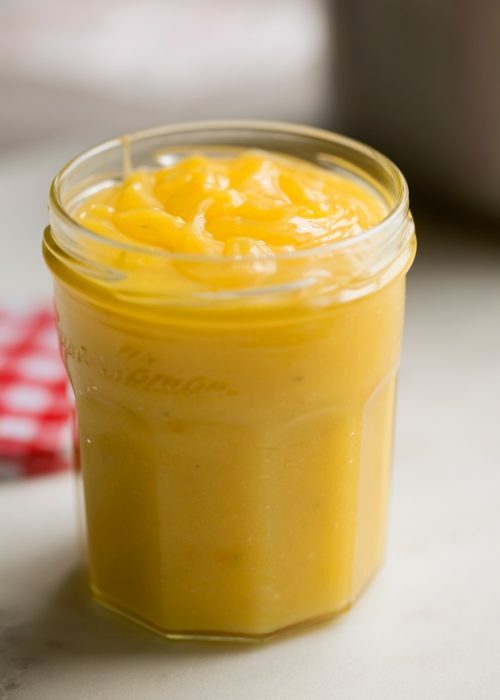 I would think you may be able to use egg yolks + flax eggs (1 tablespoon ground flaxseeds + 3 tablespoons water per egg white) but I haven’t tried this before so not at all sure whether it will work for this recipe. I just wanted to put that out there as it may come in handy for other recipes that call for whole eggs. Where do you add in the meat. I would like to use Italian sausage and am thinking i’d mix it in with the egg mix? Hi Dana, You can add any cooked meats (Italian sausage is perfect) to the casserole along with the veggies in step #2. I would just brown it in a skillet (with the casing removed) separately from the veggies. Hope you enjoy it! 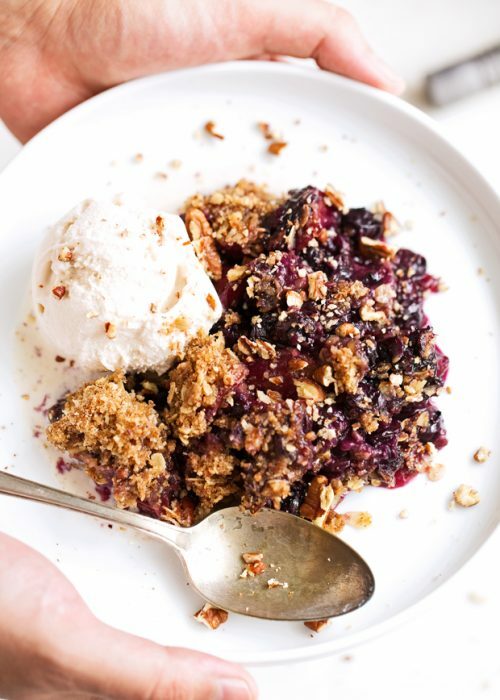 Gorgeous photos, colors, and recipe! And, ohhhh your words. Always so meaningful and honest. LOVE. My Hubby would love this! Pinning now! Thanks for sharing!! I want to make this to take with us on our beach trip. Is is possible to make ahead and freeze it? Or will the freezing ruin it? Yup, frozen spinach will work Krystina, but make sure to defrost and squeeze out all the water before using it in the recipe. I was so excited to bake this casserole! However, I baked it even longer than you recommended and the eggs still weren’t cooked in the middle. The edges were nice and crisp, but it was still extremely runny in the middle. I tried baking it even longer, and still no luck. Any suggestions? Hmm.. haven’t heard of this happening before. Did you perhaps use a smaller casserole dish than the 9×13? It definitely shouldn’t be extremely runny in the middle after 50 minutes of baking. Really can’t think of why this would happen other than the actual size of the baking dish! Made this last night to have for breakfast this morning and it was amazing! Didn’t have milk or spinach on hand, but did add green onion and lots of Frank’s hot sauce! Thanks for this awesome recipe!! Did you just assemble everything without baking and put in fridge? Did you put the cheese on right after putting the egg mixture on everything? Or could you want the last 15 mins of cooking to put the cheese on? I put the cheese on right after pouring the egg mixture. This looks so good. 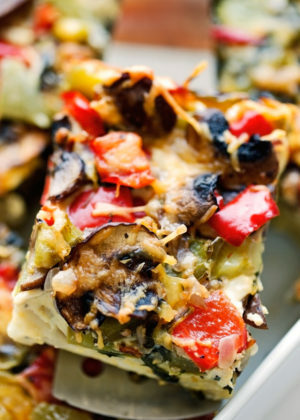 I have friends that are vegetarians and this casserole would be perfect. I can’t wait to try it. Thanks for sharing! Do you bake the hashbrowns a little before adding the other ingredients? I didn’t Debbie, but you can if you’d like. I’m vegan, so I’ll just replace the eggs with a mixture of silken tofu, turmeric and kala namak and use vegan cheese instead of regular cheese. I did that with a hash brown casserole some time ago and it turned out really delicious ( http://veganheaven.org/recipe/vegetarian-breakfast-casserole/ ). I think I’ll just try this tomorrow morning with your recipe! Is there another way I can add potatoes? Maybe diced sweet potatoes? Do you think that would work? Without further recipe testing I can’t really say if the diced potatoes will cook through in the 45-50 minutes that it takes to bake the casserole. I do however think that you can swap the shredded potatoes for freshly shredded sweet potatoes and it should work just fine. Would hash brown patties work as a substitute for shredded hash browns? I haven’t tried it with the patties, but my best guess is that it should work. The baking time might vary as it may take longer to cook the hash brown patties all the way through. This was fantastic, thanks for a great meal – I used it for entertaining today and it was a hit! Happy to hear it! Thanks Kristin! I made this ( prepped last night baked this morning) and WOW! Instant hit! The only thing I did different was added a blend of Sharp, pepper jack and velveeta shreds as a layer over the potatoes and in the egg mixture and omitted the hotsauce. This was perfect! Thank you so much for sharing! my husband cannt have starch so used grated zucchini instead and a mango habanero hot sauce. Hi, I know that you posted a long time ago but how did it work with the zucchini? I would like to make this but with some sort of vegetable instead of the hash browns, but I worry it will make it too watery. Thank you! Could the milk be substituted for almond milk or coconut milk to make it dairy free? Does this meal reheat well? and will it last for breakfast for the whole week? Definitely! We enjoyed it for a couple of meals over the course of the week. You can reheat it in a microwave or even a preheated toaster oven on 350ºF for 5-6 minutes. How do you think this would freeze? Ever tried it? Haven’t frozen it before, but I think it should be fine. I froze it for Christmas morning breakfast and it did not do well from frozen. I was totally water-logged! In step 5, did you mean to say “Allow the casserole to rest…” instead of “cook for 10 minutes…”? Oops! Yes, it’s suppose to read ‘cool’ not ‘cook’. thank you for catching that!